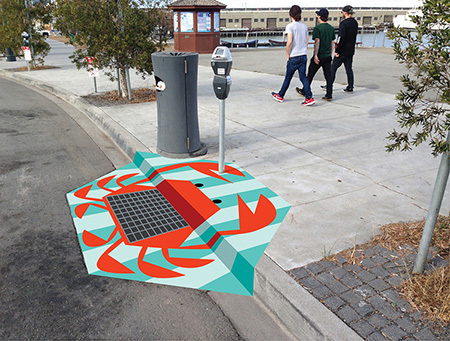 I’m pleased to be one of the selected artists for the San Francisco Public Utilities Commission’s (PUC) Storm Drain Murals Program. 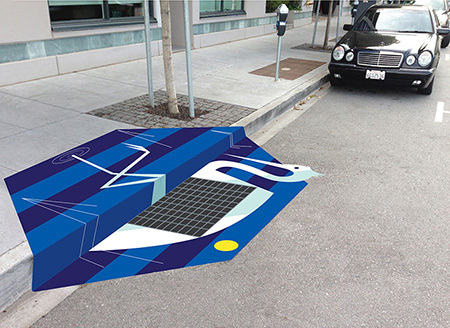 The PUC has partnered with the San Francisco Arts Commission to administer a series of temporary pavement murals to raise awareness of Mission Bay storm drains that lead directly into the Bay’s waters. My proposal, titled Wildlife Gems, uses a fish, crab, and heron as shown in these visualizations. The ‘everyfish’ is representative of the many fish varieties found in the Bay’s waters. The crab is also an amalgam of the species found along our shoreline. The heron, shown here in white, strikes a stance typical of these charismatic birds that dot our region. 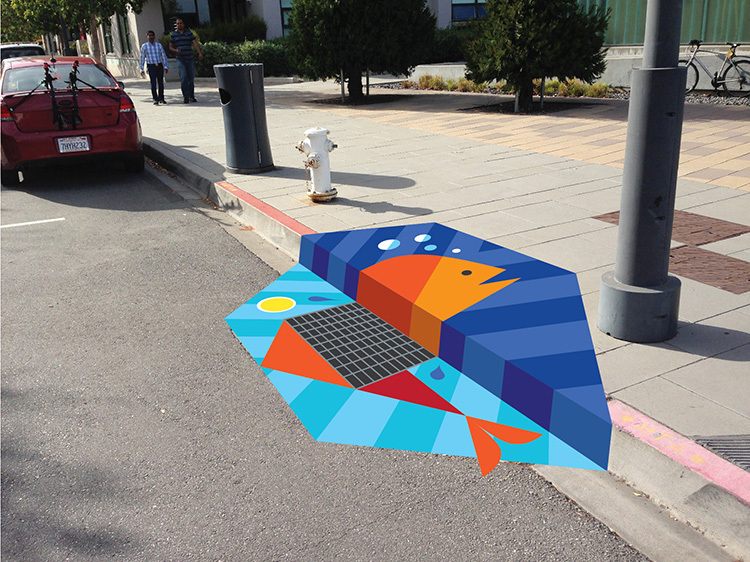 In the final project, six animals readily identified with San Francisco Bay will be distributed among six drain sites. Each mural will be customized to its surroundings, taking parking meters and other permanent fixtures into consideration. The artwork proposal is viewable on the SFAC website.